Once you have graduated from university, you will face the challenge of finding your first job. The trouble is that many job vacancies require an applicant to have work experience, which a graduate may not have. A vicious circle thus appears — you do not have the experience to apply for the job, yet you cannot gain the necessary experience without landing such a job. Understandably this is a frustrating predicament, but there is no need to worry. Below are 7 tips to help you get a job in your field of study, despite having little or no experience. First of all, you should look at the CV you are sending to potential employers. Some people make the mistake of using a standard CV, rather than tailoring it to a particular employer’s requirements. But human resource (HR) departments receive hundreds of similar-looking CVs and usually do not distinguish between them. You have a higher chance of being selected for an interview if your resume differs from the others. You could apply some creative tricks to design a distinctive CV, but don’t get too carried away. Match the skills you mention in your CV with the requirements of the job you are applying for. Can some of the required skills that you do not currently have be obtained in a short time? This refers to the basic knowledge of some software or initial expertise in the field. If you really want this job, you may wish to concentrate on obtaining these skills in your free time so that you can highlight them on your application. 3. What about soft skills? Special skills, such as knowledge of software, expertise in the industry or some specific techniques, can be obtained on the job. But what about soft skills? In most cases, you will be required to work on a team, so the ability to connect with people and teamwork skills are very significant factors for potential employment. Pay attention to the appropriate presentation of your skills and try to support them with relevant cases. Always keep in mind that these soft skills may appear to be even more valuable than special skills needed for a particular vacancy. Do not neglect the chance to exhibit these skills to your potential employer. What if you have sufficient or close to sufficient skills but simply cannot present yourself properly during a job interview? Pay attention to your communicative and presentation skills in order to convince your potential employer about your suitability for the vacancy. Compile a list of the most common questions employers ask during interviews and prepare your answers. Then, practice in front of a mirror until your answers flow naturally. This exercise will also help you to be more prepared if you have to improvise during your interview. You may look presentable, and you may have prepared your interview answers perfectly, but a potential employer may find something that defames you on your social networks. Double check your social profiles to make sure that you haven’t posted anything that could ruin your chance (inappropriate selfies, pictures of wild drinking or excessive partying). A serious company with a solid reputation may reject your application solely on this, even if you meet vacancy requirements. Therefore, prior to applying for serious jobs, it is always best to check your online presence. When you apply for a particular job, you provide information about yourself only to a certain employer, but many other employers do not know about you. In order to let the maximum possible number of employers know that you are seeking a job, networking is key. Young graduates often find their first job using Linkedin. You can also place your resume on vacancy websites, write posts on your social networks, and try to get acquainted with people who work in companies you would like to be employed by. Your friends or family will see your post in social networks and some may give you information about vacancies, or put you in contact with someone they know. You may find yourself meeting people in an informal situation who will let their HR specialists know about you. By using different channels of communication, you may be able to land your first job even faster than you had hoped. Even though internships are short-term and do not pay particularly well, it may be a good opportunity for you to obtain the required experience to eventually qualify for a better job in your field. There are many resources on the web that can help you find opportunities for internships in various companies. Employers often test the labor market hoping to find a good specialist to train. An internship will give you a chance to demonstrate your skills to an employer in practice, as well as demonstrating commitment and willingness to learn. In some cases, an internship may lead to a job offer in the same company in the field you originally wanted to get in. 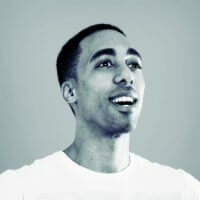 Alex Sebuliba is a digital strategy consultant with over 5 years experience. Alex is very passionate about new business, startups and writing about graduate development. Since facing his own challenges after graduating from the University of Brighton (Digital Development — BSc), he has set a goal to launch his own graduate scheme, which will support graduates finding roles in their field of study.